Vatican City might be the holiest place on the entire planet. If you have ever been to Rome, you’ll understand the high regard in which the Vatican is held, and how much it means to the citizens of Rome. For Catholics around the world, this is their spiritual home and a place of great religious significance. It’s also the home of the Pope and the beating heart of the Catholic church. Anyone who has ever been here, and seen the Sistine Chapel will understand just how incredible this place is. 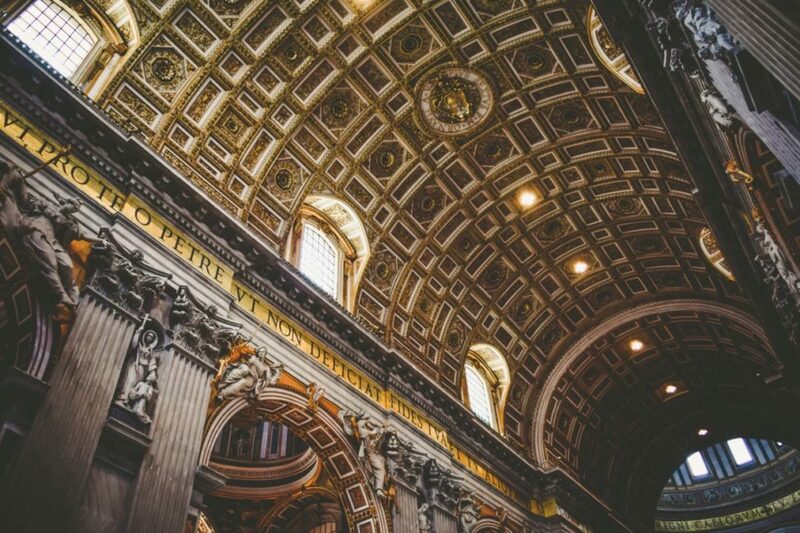 There are a lot of different things you probably already know about Vatican City, but, we reckon there are quite a few you don’t know as well. So, let’s look at some of the things you probably didn’t know about the Vatican City. You might not know it, but the Vatican is actually classed as its own country – making it the smallest country in the world. It might sit within the city of Rome, but it has its own laws and governance and is classed as an independent city-state. The Vatican has a 2-mile border, covering a little over 100 acres, which makes this country one-eighth the size of Central Park! And it’s not just a token title either – the Vatican issues its own passports, mints its own Euros, has its own media outlets, and a separate flag. The whole shebang! There was a 60 year period in the 1800s and 1900s where the Popes actually refused to leave the confines of the Vatican. This was largely a result of a small war that broke out between the Vatican and the Italian government in around 1870. The Vatican refused to recognize the authority of Italy as their country and government, and so the Popes refused to leave and yield to the country for almost 60 years. We hope there was enough for them to keep busy, we’d have gone stir crazy! It might seem surprising, but no Pope lived at the Vatican until the year 1377. Popes generally lived in Lateran Palace, this was even after the erection of St. Peter’s Basilica. Then, in 1309, the papal court moved to France, and Popes (all French) ruled from Avignon. It wasn’t until 1377 that the Popes returned to Rome. Lateran Palace had been burned down by this point, so the Popes relocated to the Vatican, and they’ve been there ever since. 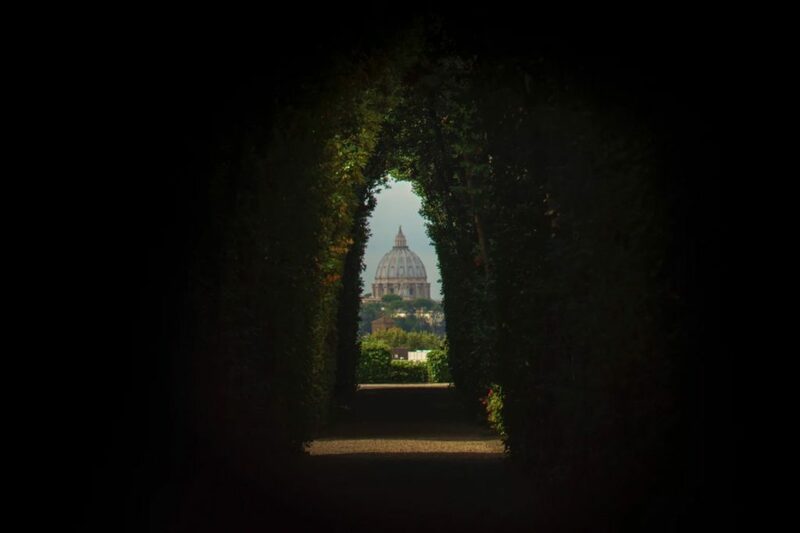 For the longest time, there has been rumors of a secret passageway in the Vatican. Of course, only those who live there might know if it exists. But, it’s thought that back in 1277, a secret passage was created called the Passetto di Borgo. The passageway was designed to link the Vatican with Castel Sant’Angelo. The purpose of the secret passageway was to provide an escape route for the Pope, should he ever need it. It was allegedly used by Pope Clement VII in 1527 to escape the sack of Rome. These are just a few of the cool and unique facts we bet you never knew about the seat of the Catholic Church. If you have never been to Vatican City, we suggest you try to book a trip when you can – it’s certainly an eye-opener. You have to make sure you experience this center of religious beauty and wonder.